Sergio and Juliana got a nice surprise when they came to see their counselor Jasmine Banegas today at our Children, Youth and Families offices. The kids each got a new backpack with school supplies inside. 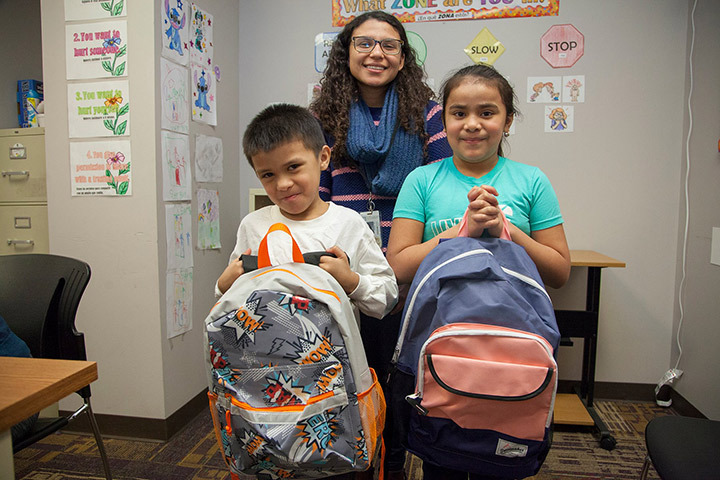 Bosch USA donated about 20 backpacks (with the supplies) that we’re handing out to children in our counseling program who need the backpacks. Sergio is in first grade. His sister Juliana is in second.